I started to decorate for Easter and needed a little banner to hang so I made this cute one using the chick in eggs svg file and paper collection from Hoppy Easter. 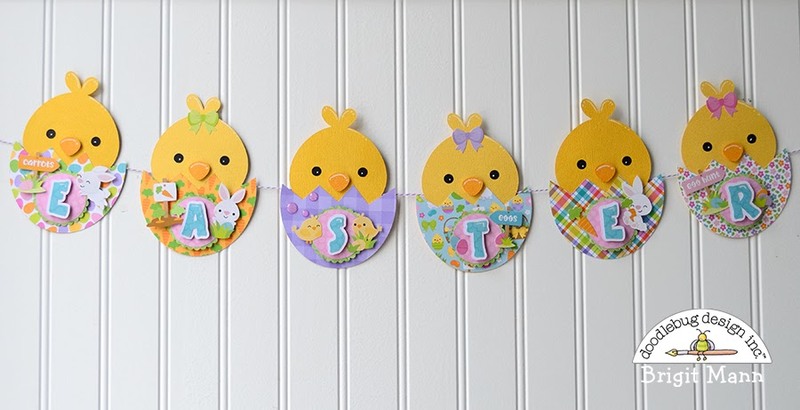 I usually like to put a banner for every holiday and I thought this little chick was simply adorable and totally perfect. I love all the cute little stickers especially the bunnies, too cute! 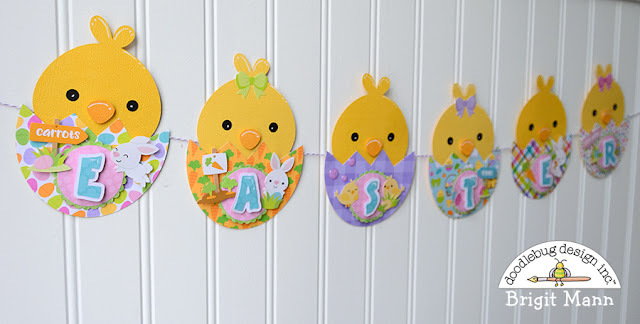 I cut all the chicks the same with two different yellow cardstocks colors and each egg with its own patterned paper then decorating with the icon stickers. Such a quick, easy and fun project to make. 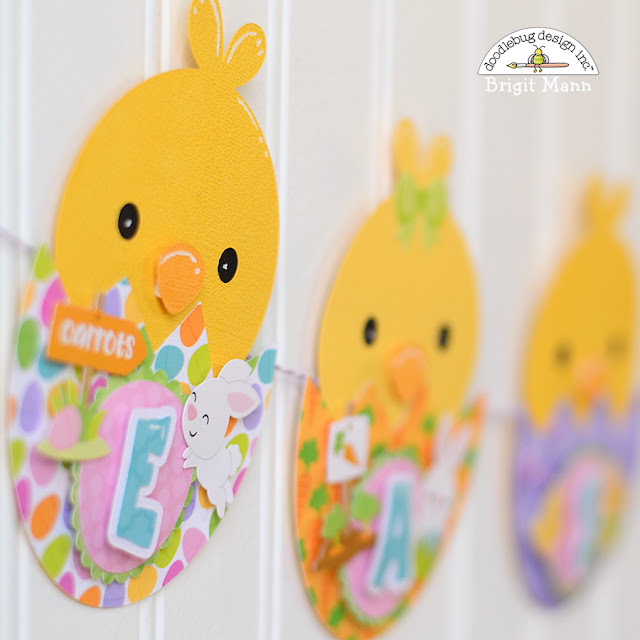 Labels: Brigit Mann, Cut Files, Easter Banner, Hoppy Easter, Hoppy Easter Cut Files. This is the cutest Brigit!! !